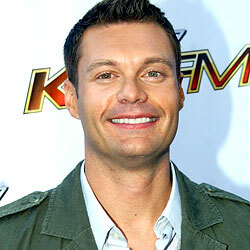 Ryan Seacrest is looking to cast a bunch of mama’s boys for a new NBC reality show he’s producing. Ethan Hawke and his pregnant former nanny, Ryan Shawhughes, looked cute applying for their marriage license. Nicole Fiscella of Gossip Girl said the show might have a lesbian plotline next season. The guy who did the French-to-English translation of The Diving Bell and the Butterfly turned down a profit-sharing deal to take a flat fee of $2,300 for his work, which in hindsight was not a good decision.